What's more summer then whites? Denim white skirts are back in a serious way this Spring/Summer. I love a good denim white skirt because you can take it from work day to weekend. Swap out a work appropriate top like a simple button down for a band tee for a weekend look. They can be easily be paired up with heels or sneaks. Adding a piece like this can add diversity in your closet, and allow to switch up your looks. 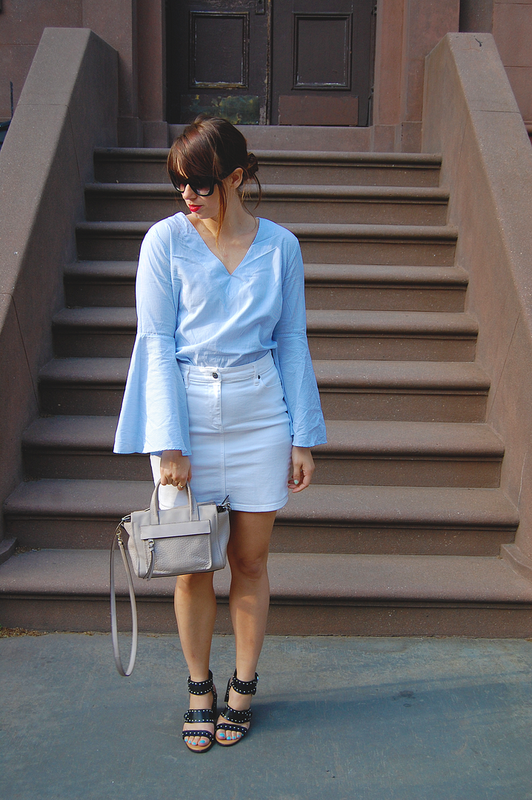 How do you wear a denim white skirt?